nParallel designed and manufactured a stunning 30’ x 50’ custom exhibit for General Mills purposed for use over many years. 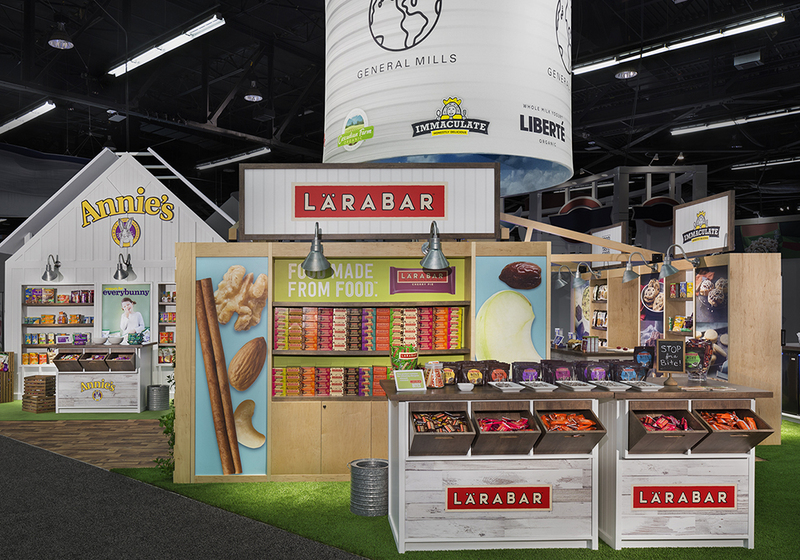 General Mills strategically selected nParallel as their preferred trade show design partner, just in time for Natural Products Expo West in 2017. nParallel took the challenging and creative concept of integrating eight different General Mills brands under one exhibit to create a cohesive feel. During this project it was essential to keep the integrity of each individual brand throughout the exhibit. The 30’ by 50’ space was required to have flexibility and multifunctionality in-order-to take the exhibit to multiple shows throughout the years. nParallel created a farm to table theme for the exhibit. Because General Mills was showcasing organic and natural products, nParallel wanted to capitalize on common ground for each of the eight businesses. 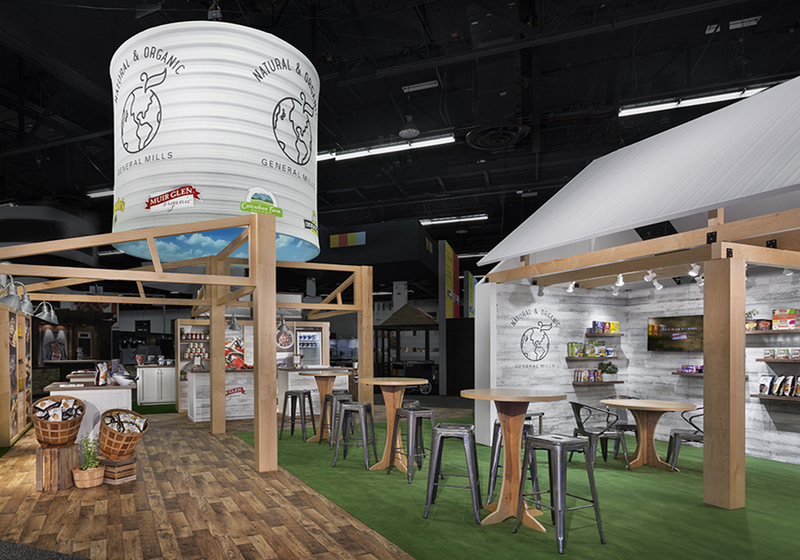 nParallel designed and created farm-like structures and textures to support the exhibit and communicate the story that General Mills harvests real, organic and natural quality food. nParallel designed and manufactured a stunning 30’ x 50’ custom exhibit that will be used over the course of many years. The exhibit offered a seating area, space for refrigerated products, and on-trend aesthetics with popular aged barn wood and white washed finishes. This project allowed nParallel to design from concept to execution and manage the properties and staff during the show.